Founded by Kathryn Murray Dickinson, AILLEA is all about empowering women to make healthy choices about the products they put on their body. Kathryn started on her journey of replacing every product she used with one that works as well or better as the ones that she had been using but had no toxic chemicals. The amount of green washing (having one organic ingredient but lots of other chemicals and advertising as organic) and false advertising left her frustrated and incensed. Thus, AILLEA was born! Kathryn was on hand while I was visiting the store to answer any questions that I may have had. We had an amazing conversation in which she took me through every single product in the store (which she hand picks) and explained exactly what they were and what they contained. I was totally impressed with this extremely hands on customer service. We even tried nearly every product! Even if you aren't ready to go completely "clean", you can always start by changing up w few things in your beauty routine when you run out of a certain product. For example, I needed an every day exfoliator so the kind staff recommended Suki Skincare's Exfoliate Foaming Facial Cleanser. While it stung a little to purchase a 4 oz jar for $36.55 (hey, I am poor), this is a product that will last. I've had it for a little over a month now and have barely made a dent in it, even though I use it every day! AILLEA also carries travel sized products, baby essentials, and amazing makeup. To be honest, I've always been skeptical of "clean" makeup but after trying a few of their offerings (including super pigmented eye shadow), I want to buy it all! 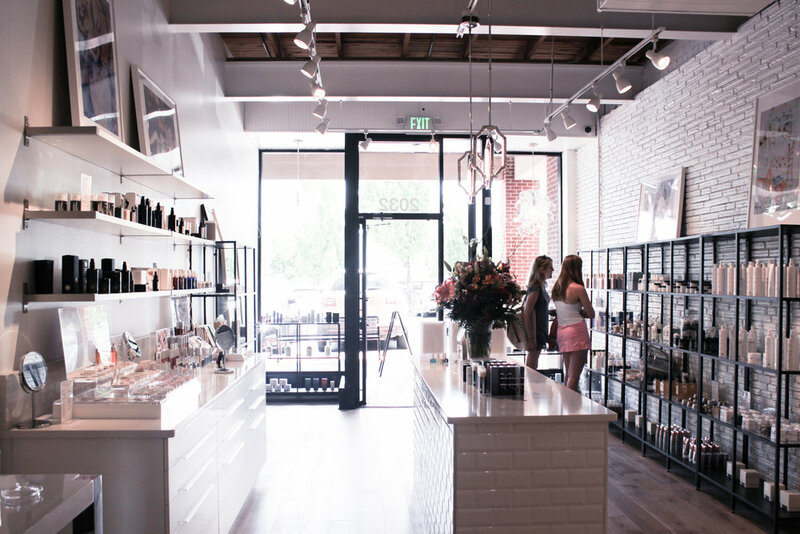 Want to learn more about clean beauty? You can host a facial party with a few of your closest friends! I had the pleasure of hosting my own and it was amazing. The staff provided food and drinks, all while walking us through our own mini-facial! They also offer full aesthetics services if you are looking for a new facialist! All in all, I think it's safe to say that I am addicted to AILLEA and all of their products!! If you are budget conscious, don't worry. The store offers products at all price points and the staff can help you figure out the best products for you within your price range! Have you tried any clean beauty products? If so, which are you faves?